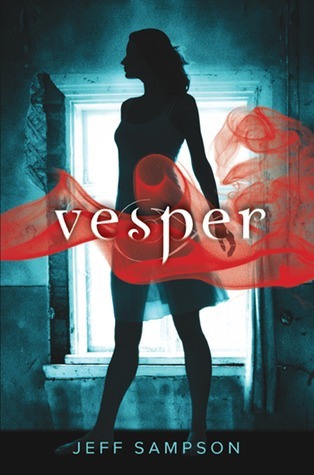 I really enjoyed Vesper. I was surprised, especially because I saw a few really damaging reviews around the photosphere, but I think that from now on I will trust only my own opinion. I let the other reviews color my opinion of the book at first, so that I started it with some trepidation and thought really scornfully of it for the first few chapters. However, as I got more involved with the storyline and grew to like the main character, Emily Webb, my enjoyment grew until I had quite a good opinion of it. There were some parts that were kind of confusing. There is kind of a flashback type plot line, in that Emily is being interviewed about her experiences, and then there will be 3 or so chapters in her perspective. I tend to like books that flow all the way through, and are only interrupted by dream type “other conciousnesses” The flashbacks were actually the most interesting and long parts of the story, while the parts occurring in real time just serve to break my stride while reading and give me an opportunity to put the book down. There was one quote that made me laugh out loud in the library, causing quite a few dirty looks. “He was so cute that I didn’t particularly want him to be a murderer, but I’d read enough to know that you can never trust the cute new guy not to go all wild-eyed and stabby.” ha…I thouroughly enjoyed that quote thank you very much. The cover is well done, if a little misleading. Like I kind of thought the red mist was a ghost or spirit or something. But I really like the cover it conveys a sinister and creepy feel without getting too horror movie on us. It doesn’t really apply too much to the book really, but it sure is cool. I enjoyed this book, I really liked the main character! Great review! I was wondering about this book and after reading how much you liked it, I will definately have to add it to my TBR list! I agree with you that the cover doesn't make you think this will be a book about werewolves! Sounds like a great story and I can't wait to read it!